Anyone in the business of starting a business, expanding a business or starting their own website has a world of choices for getting their vision online. While once the only way to go was to hire a costly web designer, there is now the much more affordable option of using a website builder platform - the best of which we’ve covered here on our expert comparison chart. Wix wins top honors on our website builder chart for its ease of use, reasonable cost and superior functionality, so those of you who wish to get started on building your website immediately can to do so with the best DIY website builder on the market. But a word to the wise - building a site with a DIY builder may not be for everyone. Those of you who know you would rather not invest time or energy playing around with a DIY drag-and-drop editor, can consider a do-it-for-me website builder option, such as Web.com. Need more information? Read on for the ultimate guide to creating a website. 1) Time - How much time do you have to invest in designing the website? 2) Money - How much money are you willing to spend on it? 3) Functionality: What functions does your website serve? What Kind of Website Builders Are There? Up until a few years ago, the only option was to pay a web designer to create a website for you. This was - and remains - an expensive option. It will cost you thousands of dollars to pay someone to build your website, and the site probably won’t have a great deal of functionality moving forward. The one plus is that it will require no effort or time investment from you. You’ll probably end up with a professional-looking site, but you’ll have to pay extra for any other function you might require, such as SEO tools to ensure that customers or readers see your website. In recent years, many businesses and individuals have abandoned web designers in favor of do-it-yourself website builders. Such builders are easy-to-use if you’re patient and have at least some technical savvy. Building a website with a drag-and-drop editor is not as easy as tying your shoes, as some advertising would suggest. However, it is affordable, gives you a great deal of control over how your website will look, and can be managed with a monthly or yearly plan. A third, relatively recent option seeks to combine the benefits of the first 2 options. The DIFM website builder options offered by Web.com, Deluxe and Hibu are more expensive than their DIY counterparts, but they’re significantly cheaper than traditional web designers. This method entails the website builder using its own drag-and-drop editor to create a website for you. It saves you the time and energy of building your own site and ensures that you have a professional online appearance. Turnaround for such services is about one week. DIFM services often offer you free design, with the stipulation that you sign up for an annual plan that is significantly more expensive than a DIY plan. You also won’t have the same freedom to update and change your content as a DIY plan offers. However, such plans can be a good choice for a small business owner who is uncomfortable with computers and doesn’t need a particularly dynamic site. It’s very hard to pin down prices for such plans, as the companies will quote you by phone according to your specific needs. To give you an example of how much such plans can cost, Web.com’s most basic do-it-for-me plan is $114.95 per month, plus extra fees for ecommerce and other advanced functions. DIY website builders are still our preferred choice because of their transparent and affordable pricing plans and the control they give you over your site. Let’s take a look at what’s important when creating such a website and where some of the leading builders stand in each category. Wix, SiteBuilder.com and Weebly all offer free plans - and you may find that they suffice for your needs to begin with. If you need to upgrade to a paid plan you can, after sampling the website builder without spending a dime, or providing too much personal information. In order to sign up, you only need to provide your name and email address before you start building your free site. You will receive prompts that take you through the process step-by-step. If you try to carry out a function that’s not supported in the free plan, you’ll be prompted to upgrade to a paid plan. Wix has the most user-friendly sign-up and onboarding process of the top 3 website builders, sending users a welcome email with useful information and links immediately, as well as guiding them through the initial web-building process with helpful prompts and pop-ups. Weebly has the most impressive free plan, allowing users to actually set up an online store for free and sell a limited number of products. Each of the leading website builders have several pricing tiers to choose from, with added functions as you move up in price. It’s difficult to make an apples-to-apples comparison of the leading website builders’ pricing because they each have a different number of pricing tiers - and prices are more expensive if you pay month-to-month, as opposed to signing up for a one- or two-year plan. The bottom line is that they all offer pretty similar pricing. For full ecommerce, SEO and email marketing functions you’ll pay about $25 a month with each of the top 3 website builders. You’ll pay about $12 a month for a site with functions appropriate for a group or organization, and a basic website for personal use will run you from $8 to $10 a month. Wix has an extra basic tier which allows you to connect your own custom domain, while retaining Wix ads on your site, with very limited storage and bandwidth. Those selecting a template for their website these days have an embarrassment of riches to choose from. Sitebuilder.com has the most extensive selection of templates, with well over a thousand themes. 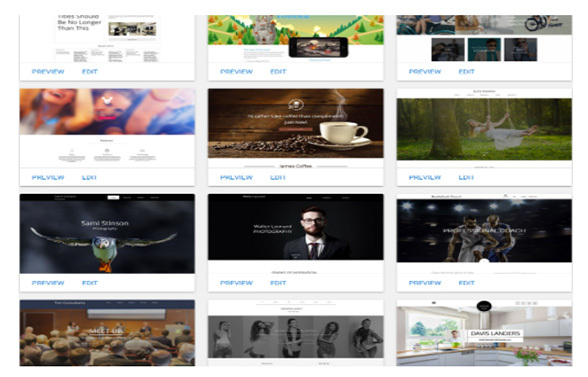 Wix has close to 500 templates and Weebly has several dozen. All 3 website builders organize their templates in easy-to-browse categories so that you can find one suitable to your specific needs. You can preview all of the templates and see how they look on both desktop and mobile. There are single-page templates and templates of sites with multiple back pages. The templates are customizable so you can change fonts, background colors and even move around sections if you’re so inclined. There are templates fitting to every type of business imaginable, as well as themes for blogs or sites that require large visual displays, such as a photographer’s portfolio. 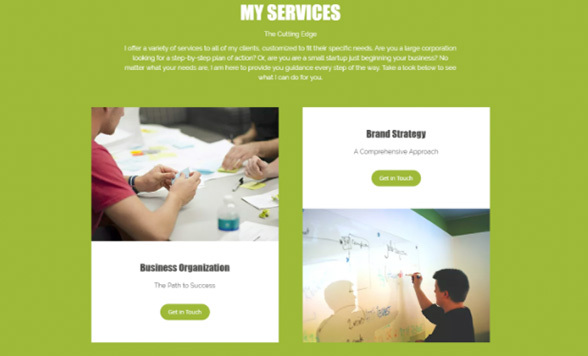 There is no shortage of modern and visually stunning templates offered by all 3 website builders that would be the envy of any web designer. Some website builders offer premium templates for an extra fee, but this is a completely unnecessary expense, as there are a large number of high-quality free options. A website’s domain name is its central identifier, akin to a person’s own name. The biggest downside of the free plans offered by Wix, SiteBuilder.com and Weebly is that they don’t provide a custom domain name. So, rather than your site having a domain name such as, www.youramazingsite.com, it would have a name like, www.yourname.wixsite.com/website. If you upgrade to a paid plan, you’ll get a custom domain name. If you cancel your plan at any time, you’ll generally have to pay about $15 to retain your domain name. Picking a domain name with a website builder is easy - you simply type in the name of your choosing and the website builder will check if it’s available. You can also get a domain name through a web hosting company and then connect it to the site you made with your website builder, however this is highly complicated and unnecessary. A web host is a server where you keep all the files associated with your website. The leading website builders, including Wix, SiteBuilder.com and Weebly, include hosting as part of their packages. You would need to sign up for a plan at a web hosting company if you had a web designer build your site, rather than using a website builder, such as Wix. In addition, some web hosting companies allow you to create a WordPress website. However, you won’t have the same functionality or ease of use as you get with a website builder. For more information on hosting, see our comparison chart on the best web hosting companies. After choosing your template, you’ll want to replace the stock images and text included with new content specifically for your site. For images, both Wix and SiteBuilder.com have free photo banks that you can use to find images for your website. Vendors will obviously want to upload photos of their products, a process made easy with the drag-and-drop editors. For those who need more help with content, Wix offers ADI (Artificial Design Intelligence), which will populate your website with content automatically in accordance with your needs. Wix asks you a few questions about the type of website you want and then uses artificial intelligence to find proper images and text that fit your needs within seconds. For example, if you tell Wix that you run a marketing consulting business, its computer will create content for you, using your company’s name, that you can then tweak as needed. This includes widgets on features you are likely to offer, and testimonials from customers. This service is free with all of Wix plans, including the free plan. It allows you to create a site literally in minutes. Designing your website with a drag-and-drop editor is relatively simple - especially if you’re computer literate and have a good head for design. With a wide variety of templates to choose from, you generally have all of the page elements in place, and you’ll simply need to switch out the content. If you’re more technically inclined, or have an hour to play around and get comfortable with the drag-and-drop editor, you can add extra sections to your page, reshape and resize sections, and add other design elements to your site. Weebly’s drag-and-drop editor generally gets high marks for ease of use, however, we found both SiteBuilder.com and Wix cater to the novice to a greater degree. Wix’s drag-and-drop editor has constant prompts and pop-ups that guide the user on which steps to take next, while SiteBuilder.com has text in each section of the template describing exactly which kind of content should be placed there. While these drag-and-drop editors are relatively simple, for the quickest and easiest DIY website design experience, Wix’s ADI is unparalleled. 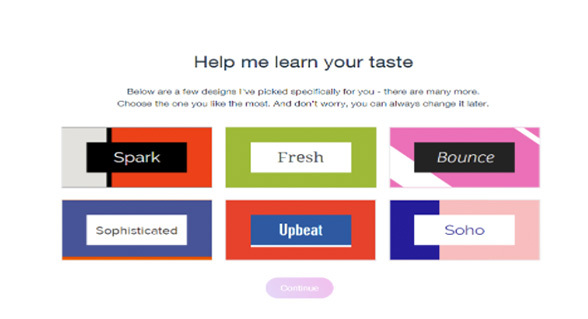 Just like it does for content, Wix’s computer asks you a series of questions about your style preferences, the name of your business or website and its purpose, and it chooses a design for you - including text and images. If you don’t like a certain element, you can cycle through options until you find something you like more. You can still choose to tweak the ADI-designed site with the traditional Wix drag-and-drop editor. The sites created by ADI are simple, but attractive, and we found them to be very accurate in coming up with the design and functionality we were looking for in just minutes. It is essentially creating a cookie-cutter website, but you would never know it to look at it. Wix, Weebly and SiteBuilder.com all have options to make your website into an online store, so you can list products for sale, upload pictures of them - and more importantly, so your customers can pay for them. Weebly is the only one of the 3 that allows you to sell products on its free plan and its first tier plan. SiteBuilder.com only has ecommerce functionality for its most expensive plan and Wix only allows you to sell products on its 2 most expensive plans. While these are website builders that offer ecommerce functionality, there are also ecommerce platforms that specialize in building and maintaining sites specifically for online stores. These ecommerce platforms, such as BigCommerce, may be the solution for you if you envision your website being an online store that eventually expands into a medium or enterprise business. See our comparison chart of the best ecommerce platforms to learn more about building a high-powered online store. Once you have your site designed and live online, you’re going to want to ensure that people can find it and that you can monitor its performance. This is where your website builder’s extra features come into play. Wix gives you the ability to promote your website through third party apps that you can find on its extensive app market. Some of these apps are free, but most of them cost extra money. 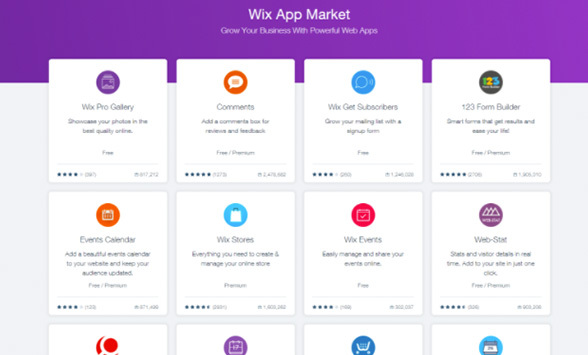 Wix's more advanced plans include the Form Builder App and Site Booster App which help you grow your email marketing list and drive more traffic to your site through Google. Wix's VIP plan lets you send out email marketing campaigns to customers and have a professional review of your site to ensure that your SEO and user interface are at maximum levels. SiteBuilder.com offers SEO tools in its higher tiered plans as well, however those with some technical knowledge can already tweak metatags and change the site’s header and footer in HTML to improve its search rankings. Weebly has an SEO guide which users can follow to change advanced settings on their sites to increase their website’s rankings. Like Wix, Weebly has an app store for third party integrations to add a number of cool features, such as social media buttons and user comments to its sites. Weebly gives users the best indication of how their sites are performing, with a real-time analytics dashboard that displays the amount of current visitors on your site. The advent of the DIY website era has made creating a website more accessible than ever. Website builders with relatively simple drag-and-drop editors, such as Wix, Weebly and SiteBuilder.com, allow you to create a viable website for personal or business use in a relatively short amount of time for a reasonable price. Wix’s ADI makes the process easier than ever before for the technologically-challenged among us by building a site for us in minutes, just by asking a few questions about our preferences. Building your own website with one of the top website builders involves absolutely no risk, while offering the potential for tremendous personal and financial reward. With this knowledge in hand you can make the website of your dreams a reality - before the day is over.